Paul Adrien Maurice Dirac (8 August 1902 – 20 October 1984) was a British theoretical physicist and a founder of the field of quantum physics. The very idea of God is a product of the human imagination. Approximate practical methods of applying quantum mechanics should be developed, which can lead to an explanation of the main features of complex atomic systems without too much computation. It seems clear that the present quantum mechanics is not in its final form. I think it’s a peculiarity of myself that I like to play about with equations, just looking for beautiful mathematical relations which maybe don’t have any physical meaning at all. Sometimes they do. Remarks made during the Fifth Solvay International Conference (October 1927), as quoted in Physics and Beyond: Encounters and Conversations (1971) by Werner Heisenberg, pp. 85-86; these comments prompted the famous remark later in the day by Wolfgang Pauli: "Well, our friend Dirac, too, has a religion, and its guiding principle is "God does not exist and Dirac is His prophet." Variant translations and paraphrases of that comment are listed in the "Quotes about Dirac" section below. At the beginning of time the laws of Nature were probably very different from what they are now. Thus we should consider the laws of Nature as continually changing with the epoch, instead of as holding uniformly throughout space-time. 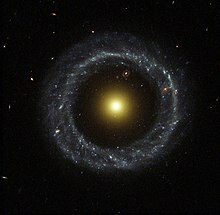 This idea was first put forward by Milne, who worked it out on... assumptions... not very satisfying... we should expect them also to depend on position in space, in order to preserve the beautiful idea of the theory of relativity [that] there is fundamental similarity between space and time. The Relation between Mathematics and Physics (Feb. 6, 1939) Proceedings of the Royal Society (Edinburgh) Vol. 59, 1938-39, Part II, pp. 122-129. The aim of science is to make difficult things understandable in a simpler way; the aim of poetry is to state simple things in an incomprehensible way. The two are incompatible. Anecdotally, when Oppenheimer was working at Göttingen, Dirac supposedly came to him one day and said: "Oppenheimer, they tell me you are writing poetry. I do not see how a man can work on the frontiers of physics and write poetry at the same time. They are in opposition. In science you want to say something that nobody knew before, in words which everyone can understand. In poetry you are bound to say... something that everybody knows already in words that nobody can understand." I don't suppose that applies so much to other physicists; I think it’s a peculiarity of myself that I like to play about with equations, just looking for beautiful mathematical relations which maybe don’t have any physical meaning at all. Sometimes they do. If there is no complete agreement between the results of one's work and the experiment, one should not allow oneself to be too discouraged. The scientific work of Georges Lemaître (1968), P.A.M. Dirac, Commentarii (Pontifical Academy of Sciences), vol 2, 11, pp. 1–18. My research work was based in pictures. I needed to visualise things and projective geometry was often most useful e.g. in figuring out how a particular quantity transforms under Lorentz transf[ormation]. When I came to publish the results I suppressed the projective geometry as the results could be expressed more concisely in analytic form. The interpretation of quantum mechanics has been dealt with by many authors, and I do not want to discuss it here. I want to deal with more fundamental things. Causality applies only to a system which is left undisturbed. If a system is small, we cannot observe it without producing a serious disturbance and hence we cannot expect to find any causal connexion between the results of our observations. Causality will still be assumed to apply to undisturbed systems and the equations which will be set up to describe an undisturbed system will be differential equations expressing a causal connexion between conditions at one time and conditions at a later time. These equations will be in close correspondence with the equations of classical mechanics, but they will be connected only indirectly with the results of observations. Perhaps the most distinguished of 'why bother? 'ers has been Dirac (1963 Sci. American 208 May 45). 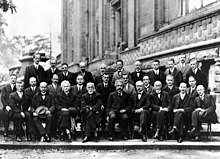 He divided the difficulties of quantum mechanics into two classes, those of the first class and those of the second. The second-class difficulties were essentially the infinities of relativistic quantum field theory. Dirac was very disturbed by these, and was not impressed by the 'renormalisation' procedures by which they are circumvented. Dirac tried hard to eliminate these second-class difficulties, and urged others to do likewise. The first-class difficulties concerned the role of the 'observer', 'measurement', and so on. Dirac thought that these problems were not ripe for solution, and should be left for later. He expected developments in the theory which would make these problems look quite different. It would be a waste of effort to worry overmuch about them now, especially since we get along very well in practice without solving them. Dirac was the strangest man who ever visited my institute. […] During one of Dirac’s visits I asked him what he was doing. He replied that he was trying to take the square-root of a matrix, and I thought to myself what a strange thing for such a brilliant man to be doing. Not long afterwards the proof sheets of his article on the equation arrived, and I saw he had not even told me that he had been trying to take the square root of the unit matrix! I have trouble with Dirac. This balancing on the dizzying path between genius and madness is awful. Albert Einstein, Letter to Paul Ehrenfest, Aug. 23, 1926. Dirac, to whom, in my opinion we owe the most logically perfect presentation of [quantum mechanics]. One of the most revered – and strangest – figures in the history of science. When I was a young man, Dirac was my hero. He made a breakthrough, a new method of doing physics. He had the courage to simply guess at the form of an equation, the equation we now call the Dirac equation, and to try to interpret it afterwards. Maxwell in his day got his equations, but only in an enormous mass of 'gear wheels' and so forth. Richard Feynman, "The Reason for Antiparticles"
Here we find a man with an almost miraculous apprehension of the structure of the physical world, coupled with gentle incomprehension of that less logical, messier world, the world of other people. 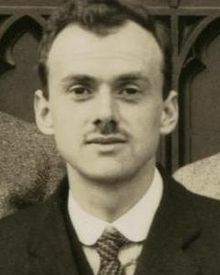 Dirac, in his first paper, in contrast to what his “hole”-theory implied, had identified the positively charged particle corresponding to the electron also with the proton. However, after Weyl had pointed out that Dirac’s hole theory led to equal masses, he changed his mind and gave the new particle the same mass as the electron. Hubert F. M. Goenner, On the History of Unified Field Theories (2004) p. 9, footnote. Dirac has done more than anyone this century, with the exception of Einstein, to advance physics and change our picture of the universe. He is surely worthy of the memorial in Westminster Abbey. It is just a scandal that it has taken so long. Sourced to Franz Kafka, Betrachtungen (Reflections), Number 52, ca. 1917. See, for instance, Reflections on Sin, Suffering, Hope, and the True Way. ↑ Kragh, Helge (March 30, 1990). Dirac: A Scientific Biography. p. 258. Retrieved on December 6, 2017. P. A. M. Dirac Speaking with Friedrich Hund on Symmetry in Relativity, Quantum mechanics and Physics of Elementary Particles (Göttingen, 1982) Filmdokumente zur Zeitgeschichte, G209; Youtube link title: "Interview, Göttingen 1982".